Pentagon’s advance to the frontline of the North American industry is the result of attention to detail and care of clients. Pentagon products are crafted with innovation, passion and precision every time. Have your confidence secured today and join the growing number of people who choose the Pentagon brand to protect their property. 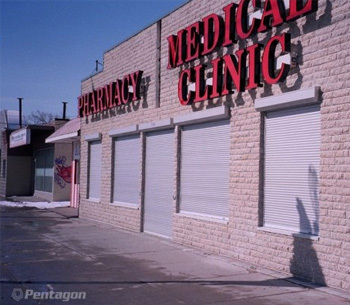 Pentagon manufactures security shutters for residential, commercial and specialty applications.